Ostgut Ton turns Zehn with label compilation and thirty new tracks. 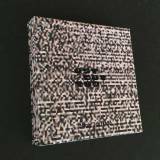 It's been zehn years, ninetytwo 12"es, twenty albums, fourteen DJ mixes, seven Unterton releases, two compilations, one 7“ single and one cassette. Within this time, Ostgut Ton has grown as a label not only in terms of catalogue numbers and musical variety, but also in terms of experience, professionality and as a musical haven for Berghain's and Panorama Bar's residents. But so much for looking backwards. Because in times where young people are discovering Techno and House for the very first time and others are rediscovering the genre that has been defining popular and club culture for well over thirty years, many think pieces these days seem very much obsessed with the exploration and idealisation of dance music's past. Ostgut Ton founder and former label manager Nick Höppner reflected on this topic with his recent Folk album (Ostgut Ton, 2015) – Techno and House music with their respective derivatives are “tried and tested – loved for exactly what (they are).” Moving forward the thirty exclusive tracks on Ostgut Ton | Zehn only look back twice in form of one new edit and one new ambient version of Ostgut Ton back catalogue tracks. Ostgut Ton | Zehn is not intended to be nostalgia, not a best of ten years, not a testament of Ostgut Ton's past. It's an adult statement of the label's status quo as well as a glimpse of what's forthcoming – at the end of a decade, on the brink of the future. 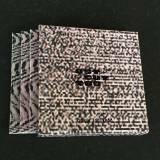 While the preceding anniversary compilation Fünf (Ostgut Ton, 2010) was more of a conceptual release (using field recordings from inside Berghain as the source material), Ostgut Ton | Zehn was conceived and commissioned with as much of creative freedom as possible for the artists involved. What this compilation intends and even more so does is showcasing the Ostgut Ton artist roster's overall talent, consistency and quality as well as hinting towards the time to come. 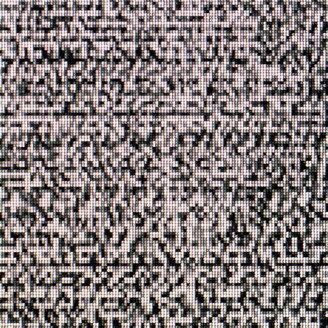 People familiar with Berghain and Ostgut Ton will be served with new, original music by Norman Nodge, Boris, Marcel Dettmann, Function, Nick Höppner, Answer Code Request, Fiedel, Barker & Baumecker, Anthony Parasole, L.B. Dub Corp / Planetary Assault Systems (both Luke Slater), Ryan Elliott, Len Faki, Ben Klock, Steffi, Marcel Fengler feat. Elif Biçer, Virginia, AtomTM & Tobias. But Ostgut Ton | Zehn also serves as a more formal introduction for new additions to the label and Ostgut Booking agency roster such as Kobosil, Efdemin, Martyn and Etapp Kyle as well as collaborations such as DIN (Efdemin, Fengler), Doms & Deykers (Steffi, Martyn) and S/D (Slater, Dettmann). While most of the latter have already put out at least one solo record on Ostgut Ton, their tracks for Ostgut Ton | Zehn are a peak into the near future – full length albums by Kobosil, DIN and Virginia will be following in 2016. And not to forget friends and family: Dinky, DVS1, Matthew Styles (vinyl exclusive remix), AtomTM and Substance have been invited to add an original piece, too. The thirty tracks of Ostgut Ton | Zehn are presented as a limited 10x12" vinyl release housed inside a luxury hardcover box, with eleven original artworks by Wolfgang Tillmans, Jennifer Burtchen, Norbert Trompeteler, Gregory Myrgiotis, Kurt von Bley, Lee Wagstaff, Viron Erol Vert, Uli Knörzer, Stephen Dunne, Yusuf Etiman and Ostgut Ton's label manager, Jenus Baumecker-Kahmke. It would go beyond the scope of this jacket text to individually discuss the 30 contributions in lengthy, empurpled blurbs and there are more details on the limited editions and the overall packaging on the dedicated webpage – turn to zehn.ostgut.de for audio snippets and more content to surface until the release day on 30th October (accompanied by several Ostgut Ton | Zehn parties across the world and the release party at Berghain on 31st October). To the next zehn years!